One of my servers attempted to try one of my snacks that I have stashed in my Trader Joe’s grocery bag at the restaurant. What they didn’t realize was that I had a few bags of treats for my dog in there too. 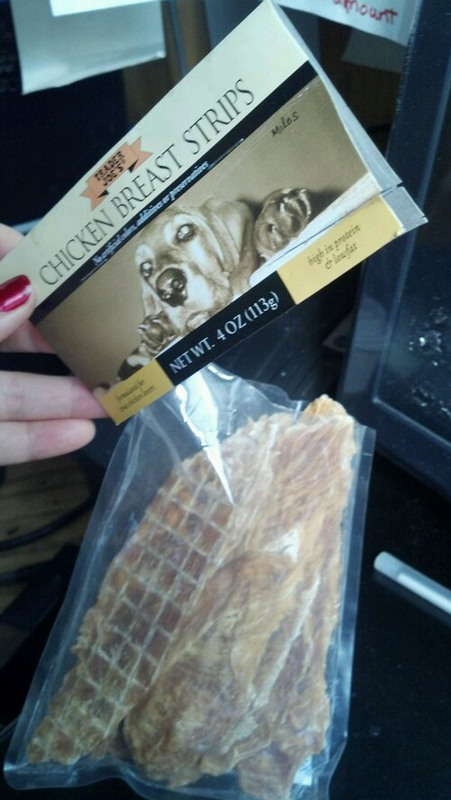 They opened my dog’s chicken breast chew strips. Lol. Now no one will admit who went into my snack bag and was foolish enough to eat one of my dog’s treats.